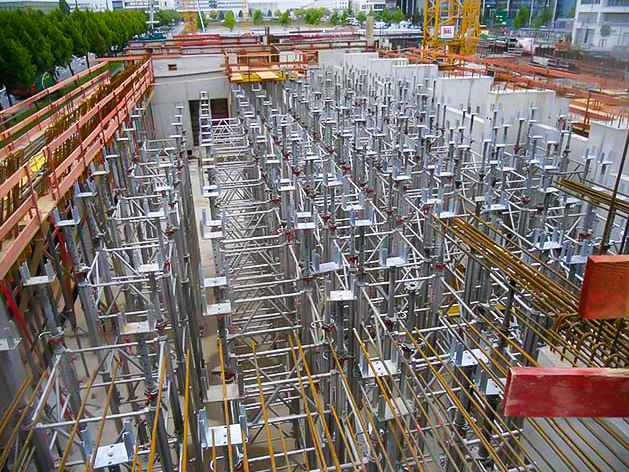 Novatec Formwork Systems supplies the MEP System which is designed to be used as an individual prop shoring tower or as a table form for all kinds of applications in slab forming. You always use the same basic components, and the props are equipped with a ‘state of the art’ quick-lowering system (SAS). Easy to assemble, the reinforcing frames are connected to the MEP props with hammerhead screws, using only a hammer. 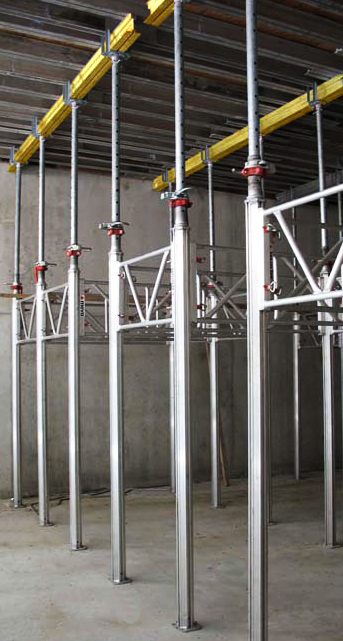 The MEP towers can be assembled in a horizontal position and crane-lifted into place, or assembled vertically as individual components. Only a few basic components (props and frames) guarantee a fast and easy assembly and an easy-to-handle inventory. Two different types of props are sufficient for most slab heights. 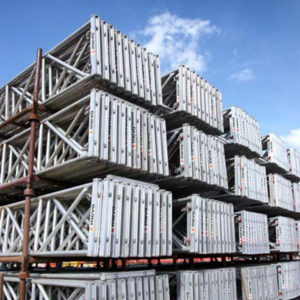 For slabs with a height in excess of 5.00 m the props are simply braced with MEP frames and extensions. Coarse adjustment with pins, and precise adjustment with sturdy and practical adjusting nuts on the external tube. Bracing frames can be attached to the MEP-props with a quick-locking-device. The locked position of the hammerhead screw can be easily checked by visual control. Uneven grounds can be compensated by varying the extension of the inner tube. The quick-lowering system lowers the prop when struck with a hammer after concrete loading - no need to spindle the prop under load, resulting in less wear on material and less physical effort. Coarse adjustment with pins, and precise adjustment with the adjusting nut on the external tube. Relieved of load when struck with a hammer. 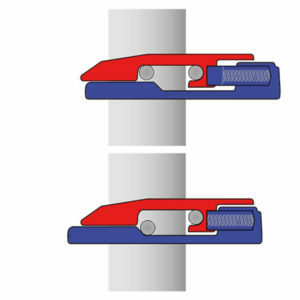 After stripping, the SAS quick-lowering system automatically resets itself to the original locked position. Adjustable diagonal cross braces allow prop spacings from 80 cm to 350 cm. This may be required for special projects. 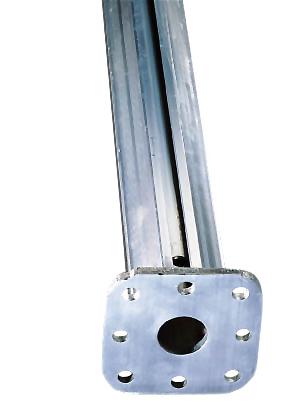 Scaffolding tubes (Ø 48 mm) can be attached with an MEP tube coupler to the external tube of the prop at any position required. 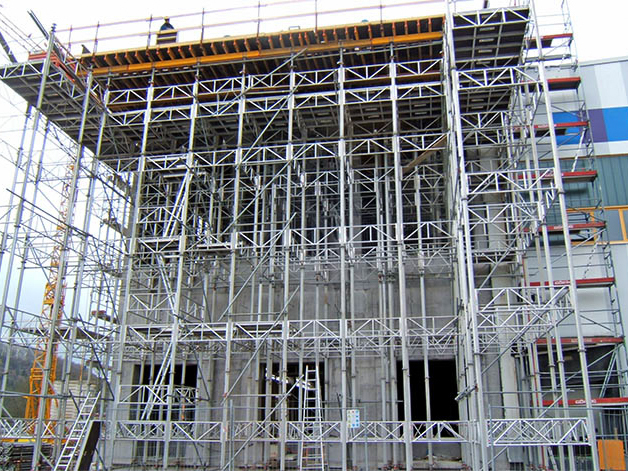 Self-securing scaffold platforms are quick to setup and used to provide working decks. Beam clamps secure steel or aluminium beams to the head plate of the prop (e.g. to form tables). 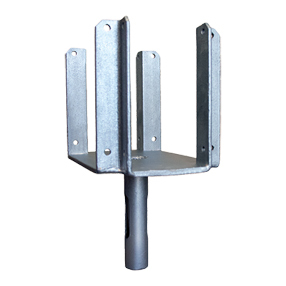 Forked prop heads can be mounted to the MEP props to take up the steel profiles or wooden beams of the superstructure. 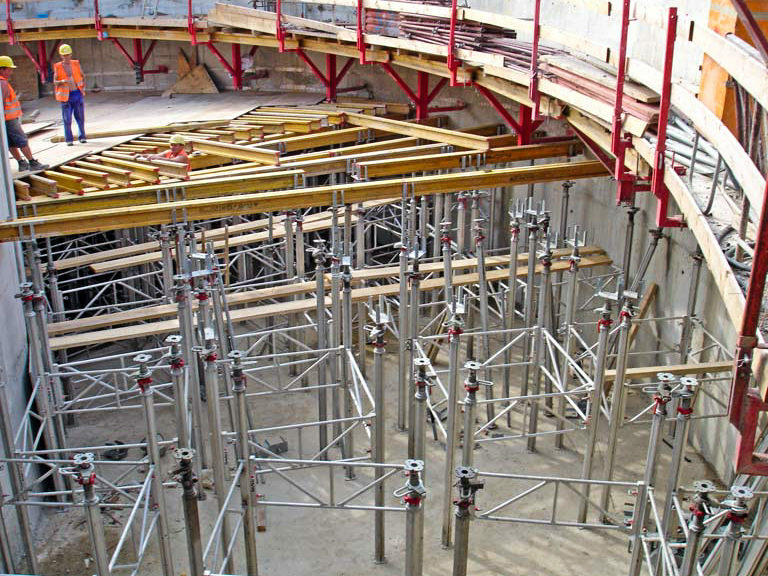 A lift truck is used to lift and transport the shoring towers (two trucks are required per 4-leg tower).